Every. Single. Recip. – Guest Post! Pesto Caprese! Today I get a little help from the best of things, my big sister! 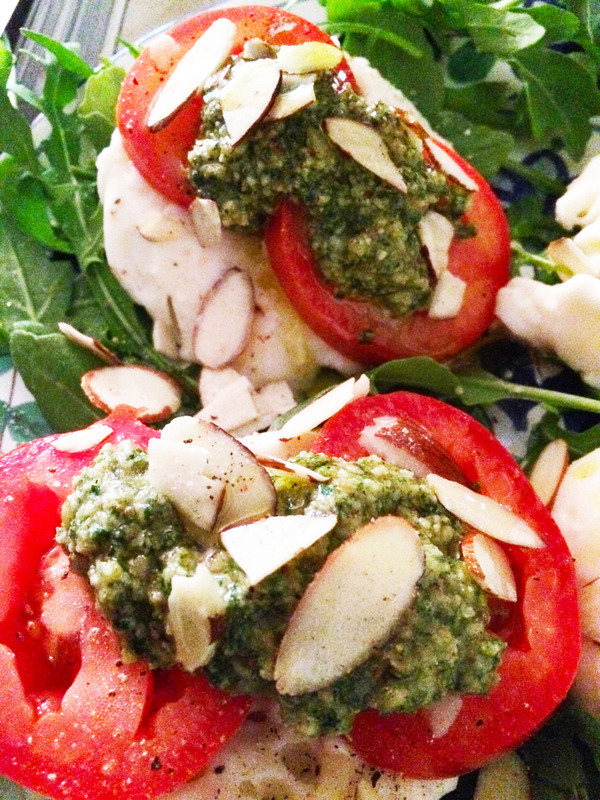 After being under the weather for couple of weeks she got a tast for something fresh and delicious and decided the Pesto Caprese from Clean Eating with a Dirty Mind would do the trick! She called me and told me what she was up to, so I begged her to send me the report and the pics…because as much as I love Caprese, and Pesto, I have a pretty intense allergy to Truffles and Truffle Oil…so it’s my sister up to bat with these two recipes! So the picture above is the final product, which she has done nothing but rave about, even made it a second time and took it to a dinner with her kids! She reports this was very quick and easy to put together, and made plenty to use several times. I will definitely be making caprese with a version of pesto that works for me, because Caprese is simple, fresh and delicious. 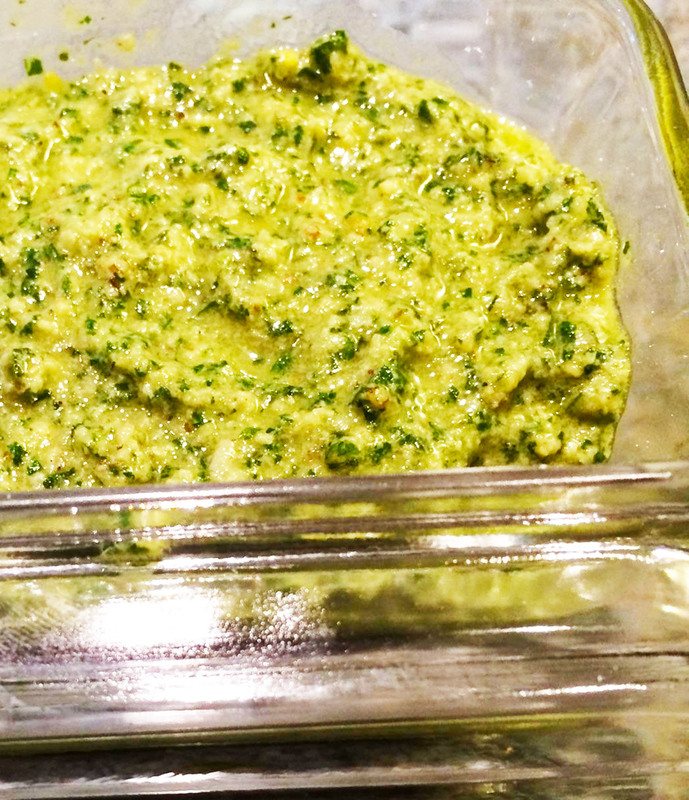 And the addtion of a flavor loaded pesto is perfect any time of year.